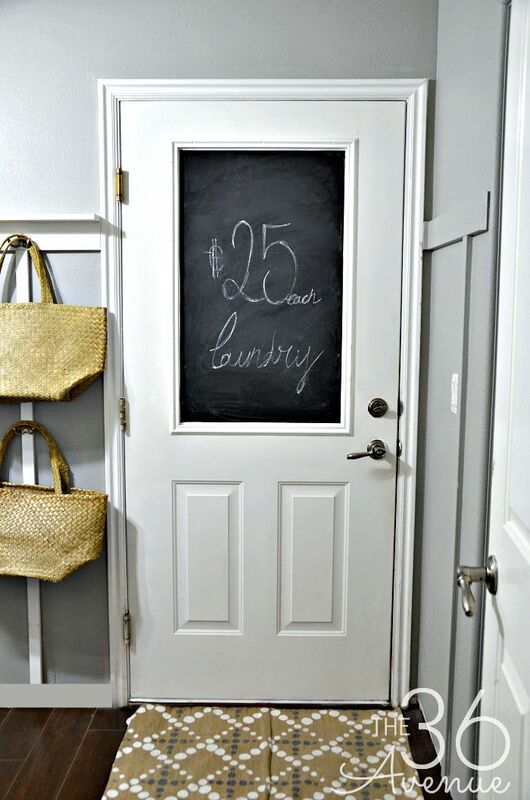 See how to turn a door into a chalkboard without using any paint. Perfect and easy DIY Project for rentals or areas where you don’t want to make permanent changes. Hey lovely friends! 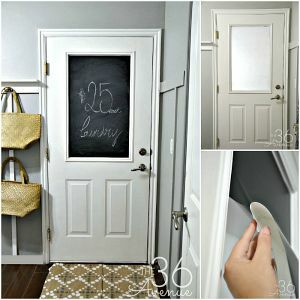 Today I am sharing a 10 minute DIY Project that can change completely the look of a door or any other flat surface. I love chalkboards but I don’t like the commitment that comes with painting an area permanently. You can replace the paint for adhesive vinyl to create a smooth chalkboard surface as fast as one, two, three! First clean and dry the area where you are going to put your chalkboard. Measure the area width and height. 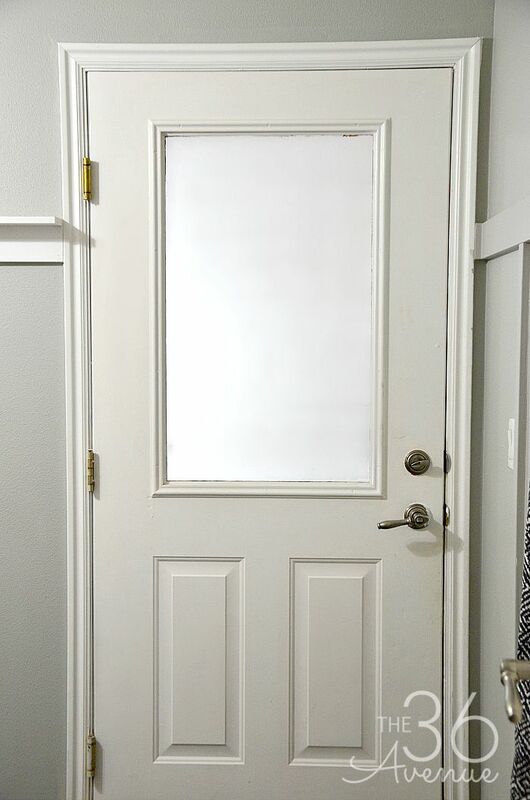 I chose our door’s frosted glass area for this project. Use a ruler and a pencil to transfer the measurements to the back side of the vinyl. Cut the vinyl. Peel off the top corner of the vinyl and stick it to the top corner of the surface you are covering. Keep peeling the back of the vinyl off as you keep covering the entire area. 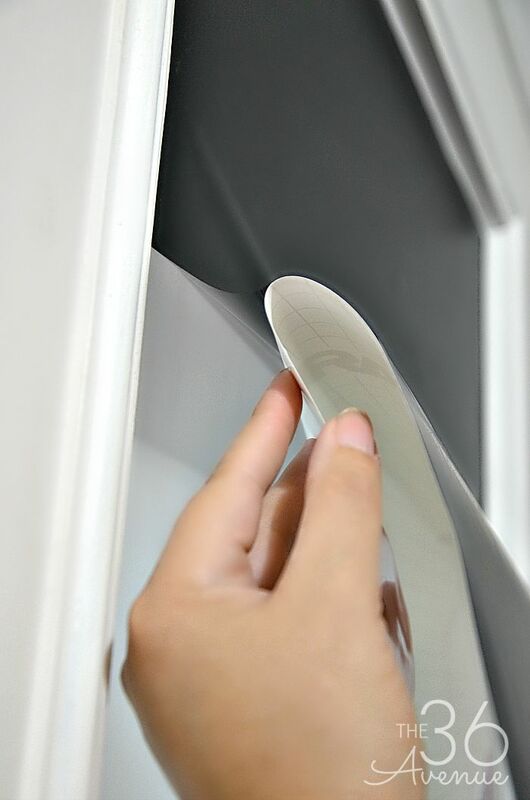 Make sure to smooth out the vinyl, working your hands from the middle section to the edges. This step is a lot easier with the help of another person. You may see some air bubbles here and there. Use a pin or needle to pop the bubbles and smooth out the vinyl. Before you write on the chalkboard, cover it with chalk dust. Now it is ready to be used. I like to use chalk pens instead of regular chalk to print my design. You are done… So easy! 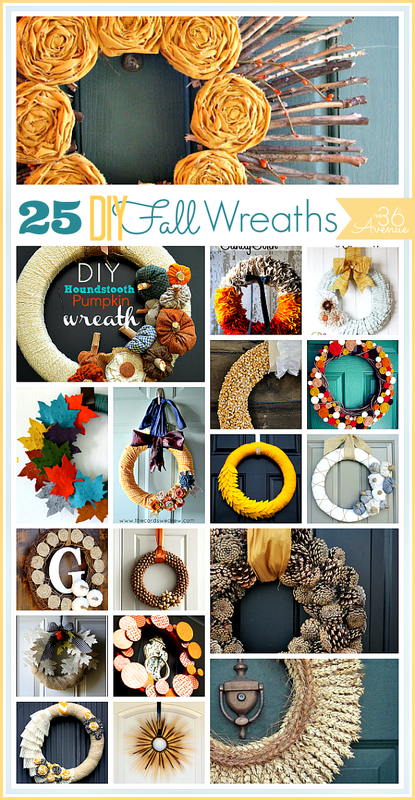 Here are some other DIY Home Decor Ideas that I love. What a great idea! I’ve used chalkboard vinyl before, but never thought about doing something like this with it.